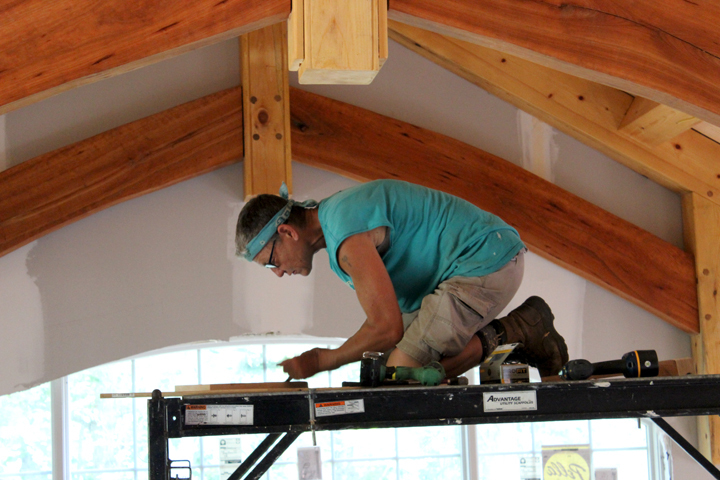 New Netherland Timber Framing is a small, dedicated crew of tradespeople dedicated to the preservation of the American-built heritage, lead by Ian Stewart. Ian Stewart has been working the preservation trades field for more than a decade. Dedicated to the furtherance of the traditional trades and crafts in America, Ian is President of the Board of Directors of the Preservation Trades Network and is a member of the Timberframer’s Guild. Ian holds a Master’s degree in Preservation Studies at Boston University’s School of American and New England Studies. His specialty is Anglo Dutch houses of the Hudson Valley, particularly those built prior to 1800. 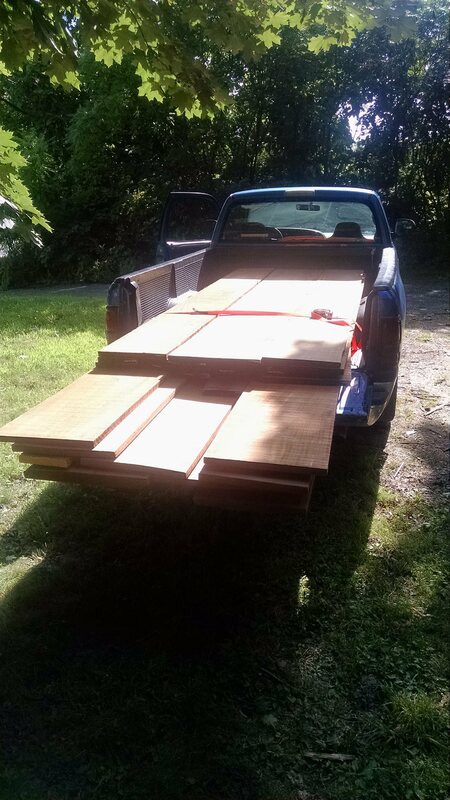 Ian’s woodworking career began in a carpentry shop at SUNY New Paltz in 1996. After several years on the road working as a rigger in various theaters, he went to work as a restoration craftsman at Historic Huguenot Street in New Paltz, New York. He worked for the esteemed millwright Jim Kricker, whose mastery was and continues to be an inspiration. During his time with Jim, he perfected his woodworking, timber-framing, black-smithing, and masonry skills on historic mills and barns. Ian later worked for Historic Hudson Valley as one of their restoration crew, responsible for the care and upkeep of four famed historic sites in the Sleepy Hollow region of New York. 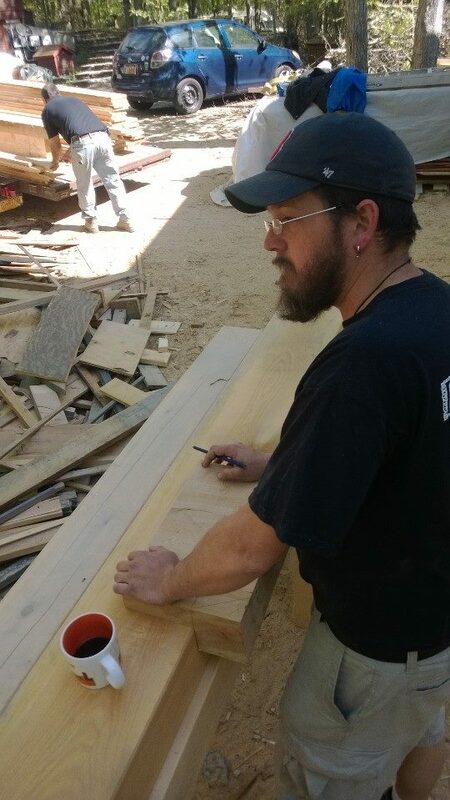 Constantly researching and building, Ian and the crew of New Netherland Timber Framing strive to preserve America’s historic fabric and create for future generations structures of lasting legacy, keeping alive the traditional art and craftsmanship valued throughout the centuries. Windy’s consummate dedication to the study of old buildings and her fearless ability to tackle any task make her a vital part of the team. With nearly 15 years in her own handy person business, Windy is truly a Yankee Mechanic. Her skills include full renovations, custom shower basins and tile work, sheetrock and plaster repair, painting, window repair, light carpentry, creative framing, plumbing (when necessary), landscaping and gardening, and clever solutions utilizing things which shouldn’t work. She loves that her job requires creativity and stubborn hard work to bring worn rooms, buildings and spaces back into service, sometimes in surprising and beautiful ways. Windy is a member of the Preservation Trades Network and is a member of the Timberframer’s Guild. 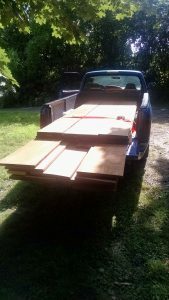 Babe the Big Blue Truck is an important part of the timberframing team. Babe’s a workhorse and we’re grateful for the work she does for us and with us.